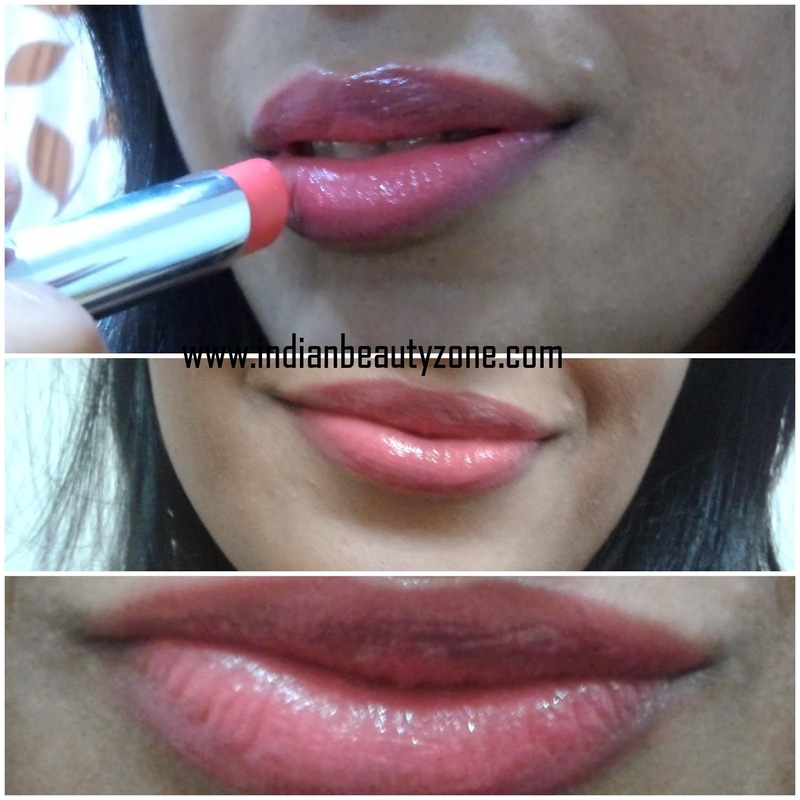 My name is Karishma and I’m a lipstick junkie. 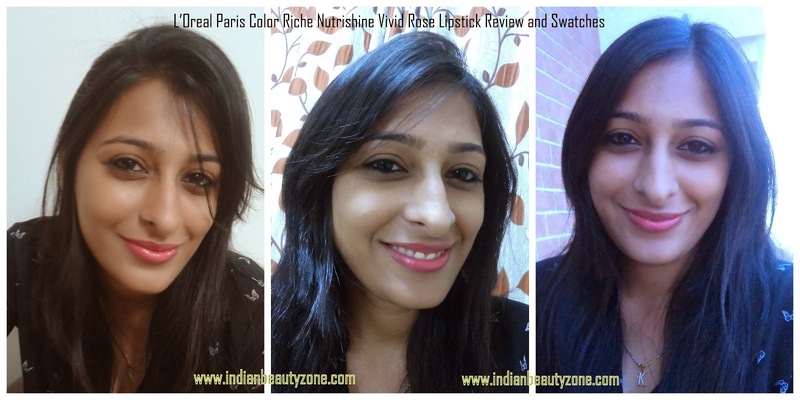 This is my first post for Indian Beauty Zone and I’m really very excited. I really want to thank Radha for giving me a chance to write for her blog. 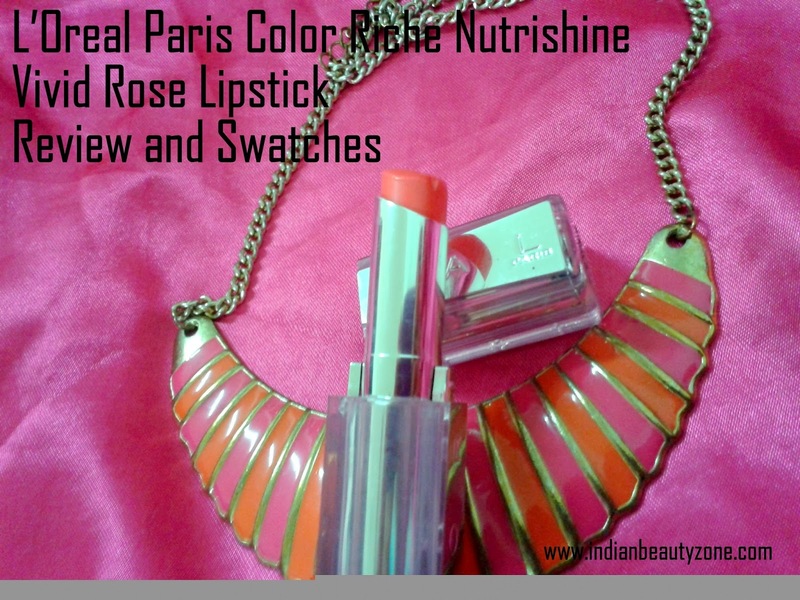 Today’s review is going to be about one of my favorite lipstick: L’Oreal Paris Color Riche Nutrishine Lipstick – Vivid Rose. It is easily available on all leading offline and buy online shopping stores like flipkart, jabong, slassy and amazon etc. Color Riche Nutrishine Lipstick is one lipstick that cares like a balm and gives you shine of a gloss. The Color Riche Nutrishine ranges comprises of 15 beautiful shades. The Nutrishine range of lip colors have been formulated using Royal Jelly and Shea Butter, known for their moisturizing properties. Sadly there is no mention about the ingredients anywhere. This range of lipsticks comes in a very attractive and classy packaging. It’s semi transparent, shiny and pink in colour. 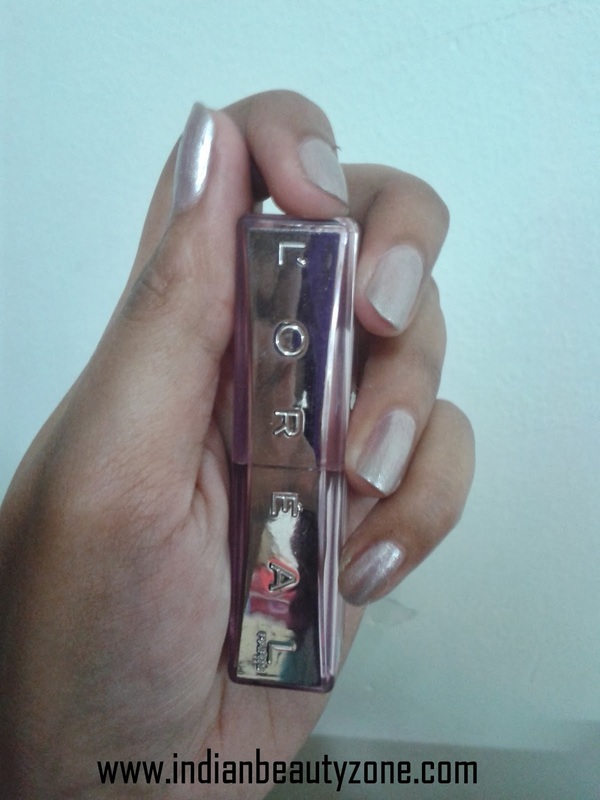 One side of the case is in silver which has L’Oreal written over it. The shade code and name is mentioned at the bottom. The shade is a very beautiful rose pink colour with slight hints of peach/coral and neon in it. This shade looks oh-so –gorgeous on my lips. This colour tends to suit better on medium skin tones the most. It’s a very chic colour which can easily be worn for outings with the girls or special occasions. It’s not a shade which you can wear every day. 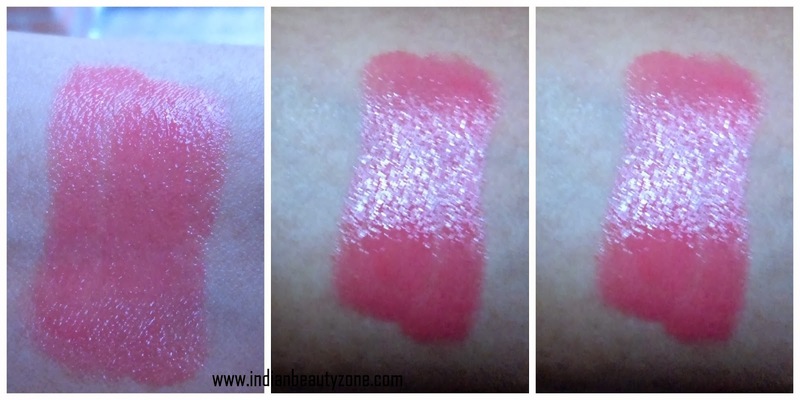 The texture of this lipstick is very smooth and creamy. This particular shade doesn’t have high pigmentation. With one swipe, it adds colour to your lips and with two to three swipes it easily gives the perfect colour and becomes opaque. It gives a nice glossy finish. Staying power is about 2-3 hours. 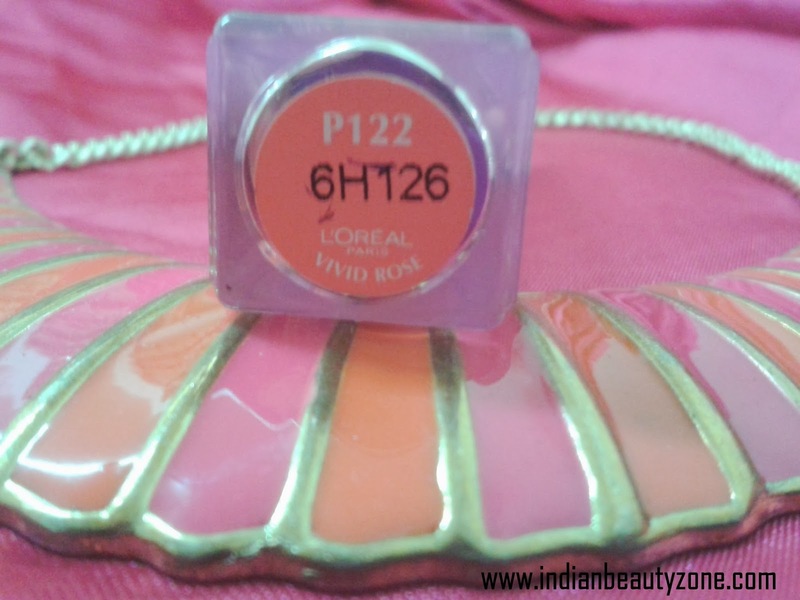 Beautiful shade which will suit the Indian skin tone really well. Slightly neon which doesn’t make you look OTT. Moisturizes and hydrates the lips. Leaves a pink rosy tint after it fades. Pigmentation is a slight problem. It’s worth a try! Its a little disappointment when it comes to the level of pigmentation but it makes your lips feel soft almost the entire day. 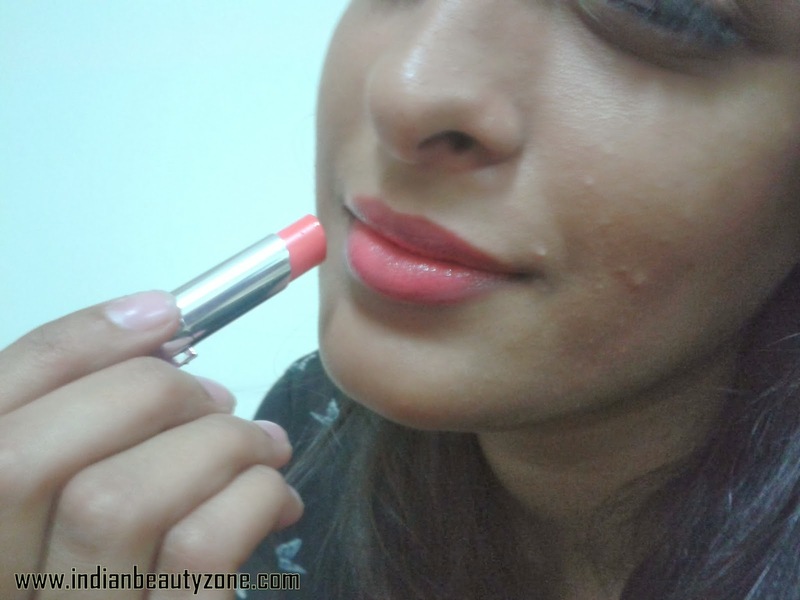 I really loved this lipstick and I think you should try at least one shade from this range.